Laura Gene Utt developed her thesis around how Texas dental hygienists manage patients’ dental anxieties. 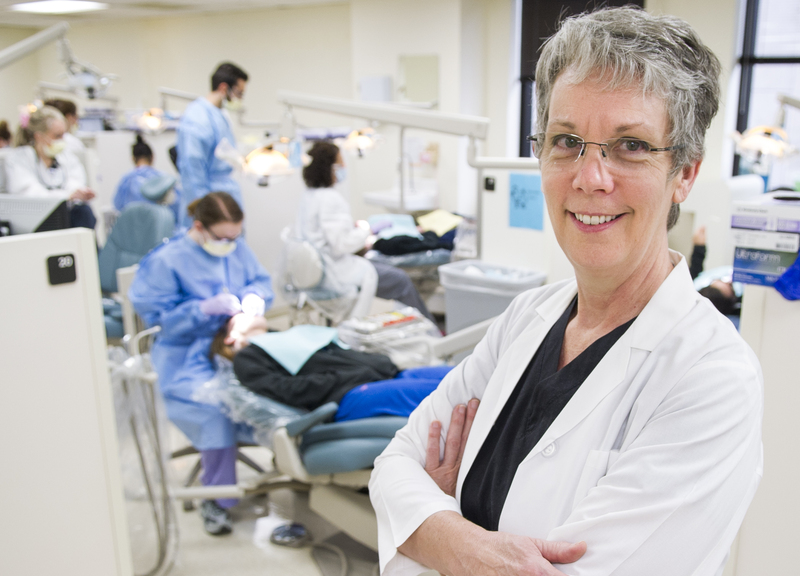 Recognizing anxieties in patients and learning how to effectively address them is something Utt has fine-tuned during her 35-year dental hygiene career throughout Texas, California and Germany. In December 2014, she completed her thesis on the subject as part of her master’s in dental hygiene education. Her research, titled “Texas Dental Hygienists’ Use of Behavioral Management Techniques for Patients with Dental Anxieties,” utilized a survey to determine what methods Texas dental hygienists use to recognize and calm dental anxieties in patients. And just as important, it measured how dental hygienists felt about their effectiveness at helping their anxious patients feel comfortable. She plans to take these techniques with her in January 2015 when she moves to Stuttgart, Germany, where she has plans for teaching, consulting and private practice work. “Bachelor-level programs in dental hygiene are just now starting in Germany, and the concepts of managing dental anxiety should be considered in the educational programs,” says Utt. Sometimes anxieties are present for reasons not having anything to do with the dental appointment. Previous trauma, such as domestic violence or sexual assault, abuse of the elderly and even combat military experience can present anxieties for patients. According to statistics cited in a March 2014 article in The Journal of the American Dental Association, “Treating Patients with Traumatic Life Experiences,” the likelihood that an oral health professional will treat patients who have suffered such events is markedly high. Approximately 22 percent of women and four percent of men reported having experienced sexual assault as an adult, and 10 to 20 percent of men and up to 10 percent of women in the U.S. reported having been exposed to combat, whether as service members or immigrants who fled war-ravaged regions. Routine aspects of a dental appointment, be it impressions, oral cancer screenings and even reclining in the chair, may seem harmless to some — and even convenient for dentists, such as in the case of a mouth prop — but they can incite fear in other patients. Whether it’s from a gag reflex, lack of breath or the fact that a patient cannot close his or her mouth, a feeling of powerlessness sometimes ensues, and with it, panic. In TAMBCD’s Advanced Education in General Dentistry Residency Program, residents are familiarized with some of the difficulties that can occur as a result of traumatic experiences. One lecture includes a special guest speaker, an assault victim who shares with residents what it’s like to live through the aftermath of such an event, which often includes some degree of post-traumatic stress disorder. At least once during the year, fourth-year dental students also get exposure to patients with anxieties and special needs during a rotation in the AEGD clinic. One of the go-to methods: informal question-and-answer sessions between the oral health professional and patient. Benefits of the initial “meet and greet” are two-fold. “The AEGD residents learn how to communicate through empathetic listening and speaking skills to build the highest level of rapport with special patients, which does a lot to allay apprehension and raise the pain threshold,” says Dr. Charles Wakefield, professor and director of the AEGD program. At the same time, the dentist gets to know the patient on a personal level. Regardless of the cause of anxiety, when patients’ fears are addressed in an effective manner, not only are they more likely to return for routine preventive care, but hygienists and dentists are more likely to feel rewarded from the interaction.